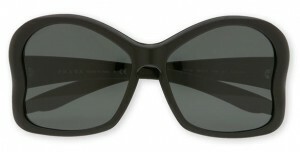 Prada Butterfly Frame Sunglasses : Steal This Dress! The very first “Splurge Worthy” review I wrote was about sunglasses. StealThisDress! is now six months old (woo!) and I’ve decided that it is time we talk about another pair of amazing designer shades. There’s nothing better than getting the same thrill out of something as you did when you bought it a year ago. 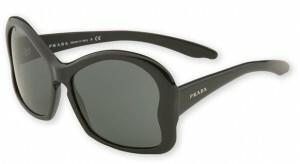 For me, the Prada ‘Butterfly’ Frame sunglasses are,without a doubt, one of these treasured items. A year later, I still feel unstoppable every time I put them on. With a frame whose shape mimics the outline of a butterfly’s wings, these shades are out there. They are definitely not ‘safe’. But as declared by Paris Hilton–who was photographed sporting the Butterfly glasses on numerous occasions–“Life is too short to blend in.” These shades embody this exact style mantra. You may be surprised to learn, though, that Prada’s butterfly-inspired creation is also practical. The frame is nice and big, allowing me to stay incognito when I don’t particularly feel like facing the world.